Meet the new Jinhao 8812 Limited Edition. This is a beautiful fountain pen tuned and perfected at InexPens. With a 1.9mm stub nib, this Jinhao 8812 Limited Edition offers you an amazing line variation. The wood barrel offers you the timeless design you love. The standard pen is already a solid choice, but the limited edition version takes it to a whole new level. As I already mentioned, this Jinhao comes with a 1.9mm smooth stub nib. 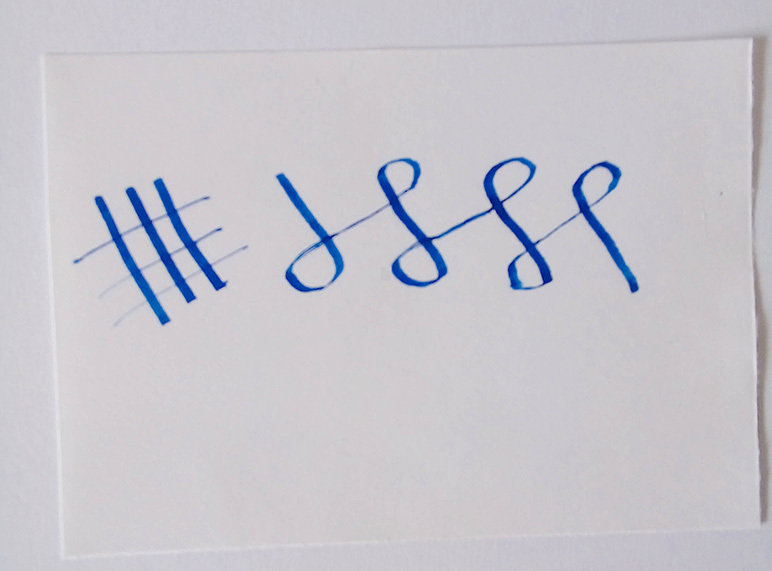 If you love to practice calligraphy, this is an amazing option. This pen comes with an international-sized converter so you can use it with any bottled ink of your choice. If you prefer to, you can also use it with international cartridges. With 40 grams of weight, this is not a light pen. 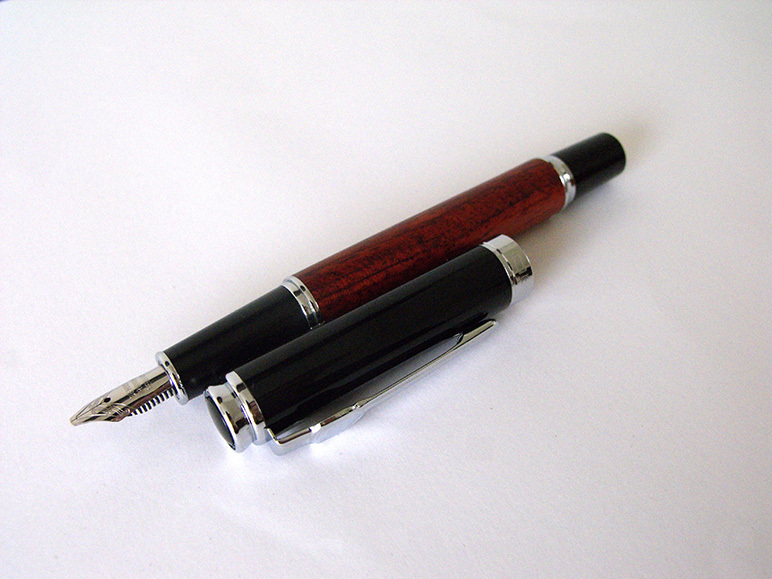 It feels sturdy and durable, and in my opinion, it’s a well-balanced pen. 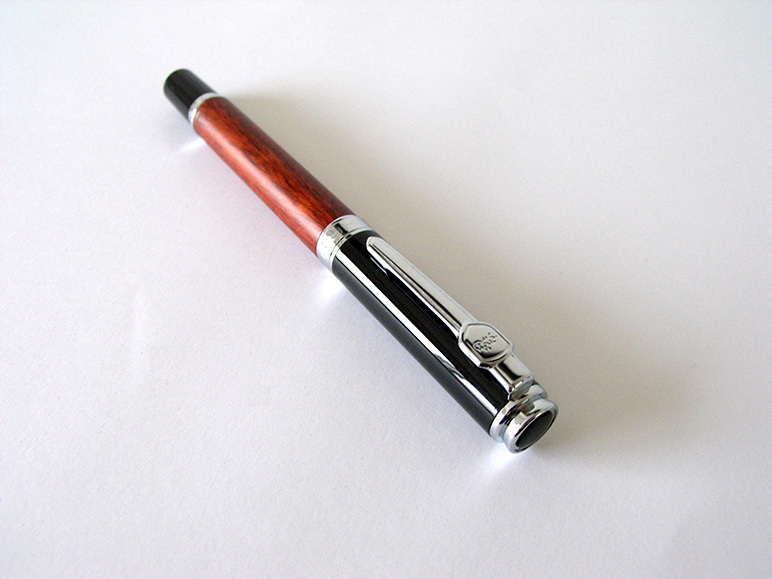 This pen is made of metal and wood, and it feels amazing. If you’re used to plastic fountain pens, you’ll be surprised by how this pen feels. There are amazing plastic and acrylic fountain pens in the market, but for me, nothing beats a sturdy heavy pen like this one in terms of feel. It’s a personal choice, but you might agree that even in terms of looks alone, this looks like a premium fountain pen. This pen length is 145mm, so while you can use it with the cap on the bottom of the pen, I wouldn’t. I have fairly large hands but prefer to use this pen without the cap. The cap is a simple snap-on type cap. Nothing special about it, but it seals the pen really well, so no complaints there. If you order this pen, you’ll get 2 3ml ink bottles so that you can start writing right away. We’ll also send you a 5ml fountain pen cleaning solution so that you can keep the pen well cleaned and maintained for the years to come. InexPens Limited Edition Fountain Pens are designed for those who look for uniqueness and exclusivity. We manually grind, smooth and polish the nib, to create a unique writing experience. The result is a unique and highly collectible fountain pen. It takes a lot of time to turn a regular pen into something unique. And that’s why we can only offer pens like this Jinhao 8812 Limited Edition in small quantities. If you’re interested in reading more about this pen or ordering it, simply click here. This entry was posted in Fountain Pens, Handwriting, Jinhao, Limited Edition Fountain Pens. Bookmark the permalink. Thank you Walt. I agree 🙂 The Jinhao 8812 is a beautiful pen. That’s an amazing pen. Has been my daily writer for months! Thank you. It is a great fountain pen.